For two thousand years, the Mayan Calendar has prophesied the end of mankind on a date equating to December 21st, 2012. As that day approaches, greed, corruption, economic collapse, and violence seem to be pushing our species to the predicted brink of disaster. But there is another doomsday threat looming in our near future, a very real threat that can wipe out not only humanity but our entire planet. 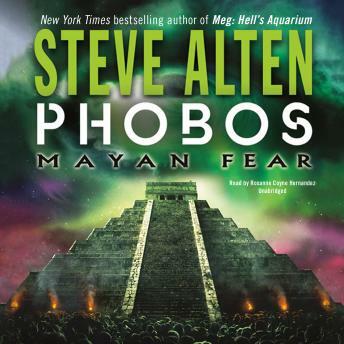 Phobos: Mayan Fear, Steve Alten's third book in the Mayan prophecy-based Domain series, is a doomsday rollercoaster ride of adventure that follows Immanuel Gabriel to the end of the world and back again for one last shot at salvation. During Immanuel's journey with his deceased grandfather, archaeologist Julius Gabriel, Julius reveals everything the Mayans knew and feared-from the secrets of creation that predate the Big Bang to the existence of extraterrestrials that have come to Earth to save our species. The universe is not what it seems, nor is human existence. The ticking clock of physicality that begins at conception and terminates with our final breath is neither the end nor the beginning, but an elaborate ruse constructed as a test.